Below is a full explanation on how to find Samsung part numbers. Please do not purchase any parts if you are unsure it will cure your fault, Please view our Business Details and contact us to speak to our technical help line, One of our advisor's will be happy to help. 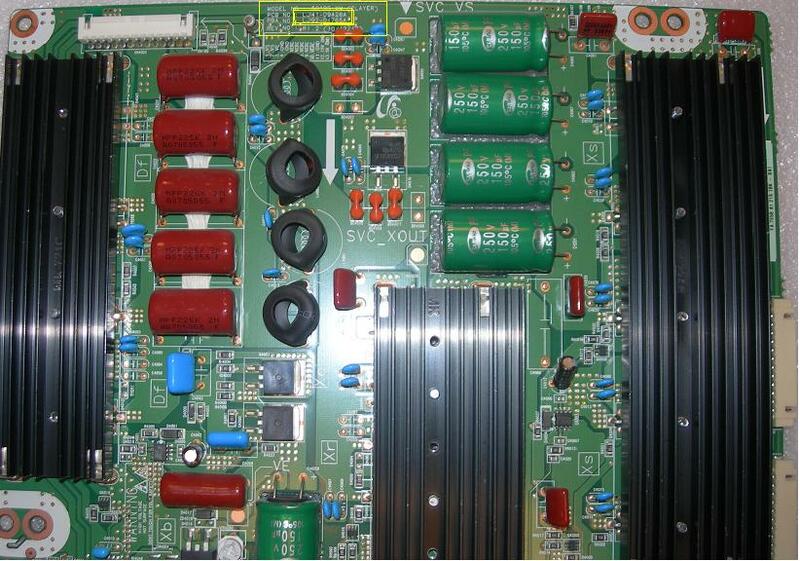 Samsung Main Boards; The significant part number used for identifying Samsung Main Boards is the 'BN94-' number, many people mistake this with the 'BN41-' number which is also upon all Samsung Main PCB's this number is JUST the blank board number of the printed PCB and will in most cases appear on many other boards, for many different sets rather than the individual board you're after and is NOT TO BE ORDERED BY. The 'BN94-' number is mostly located in a white stick label somewhere upon the front of the PCB, the most common places for the label are, the card reader slot and the tuner itself. Samsung Power Supplies; When looking for the P/N upon your Samsung PSU you should always look for the 'BN44' number, usually this number is located within a white sticker label as you can see highlighted below. The BN44 number is usually merged in with the rest of number/ digits, therefore it is important to know where and when to stop reading. Start with the - BN44 and continue with the digits up until the first letter after the BN44. When using our search box ensure you place a '-' after the BN44, so for example on the board below, SEARCH; BN44-00623B. Samsung Buffer Board; As always finding the P/N on buffers should never be too difficult with the size of them if you know what you're looking for. On the Samsung buffers there are two unique numbers, one alot more important than the other; 'LJ41-..', 'LJ92-..' the 'LJ92-..' number is the actual Samsung P/N which will guarantee compatability. Once you've found the 'LJ92-..' number in some cases there will be a row off possible letter endings such as; A/ B/ C/ G. In order to determine yours you should look at the 'REV' number which is usually located within a white box on the PCB and will be two letters followed by a number, if it for example is an 'AA2' then your board will be 'A', 'BA2' then it'll be 'B' and so on. 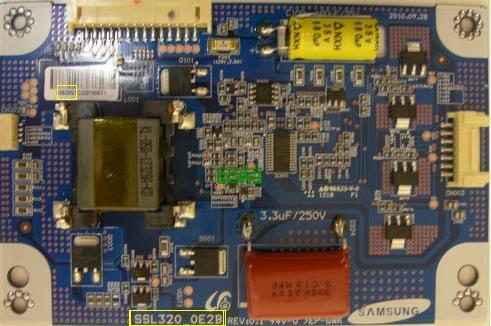 Samsung Inverter Board; The Important number to fine with the Samsung Inverter Board (which will have the Samsung logo clearly printed upon the board) is the 'SSI' number once this is located, find the white sticker label and from there work out the actual part number of the board by following the numbers and ending it with the first letter, for example on the board pictures below it is '02545A' once you have this number place 'LJ97-' infron of it, so it would be.. 'LJ97-02545A'. 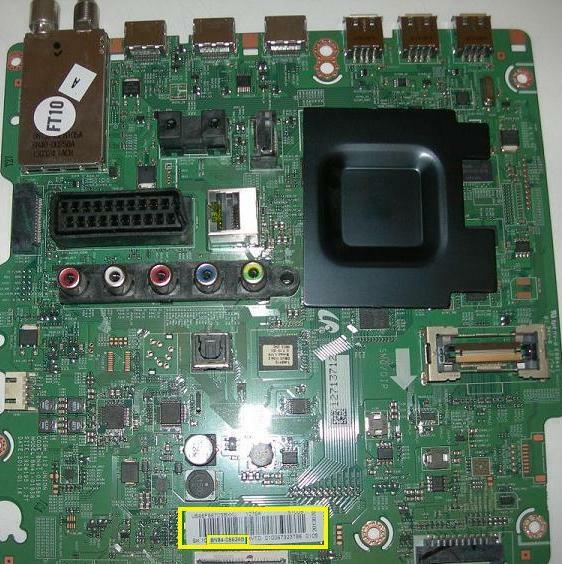 Samsung Tcon Board; Samsung provide a huge variety of different types of Tcon boards, you'll know if the tcon in your set is a Samsung tcon as it'll be marked with the traditional Samsung logo (as you can see on the tcon below). There will always be some form of board number printed onto the actual PCB for example on the one below; S100FAPC2LV0.3. This number is not the actual part number and shouldn't be ordered by however it is important to ensure when ordering these particular boards both the board and part number match. To find the part number in almost all cases there is some sort of sticker label on the board, this is usually white and is a long series of letters and numbers. After the first letter there will be 5 digits ending with a letter (so below; 23329A) for Samsung tcons traditionally an 'LJ94-' number is put infront of this number. 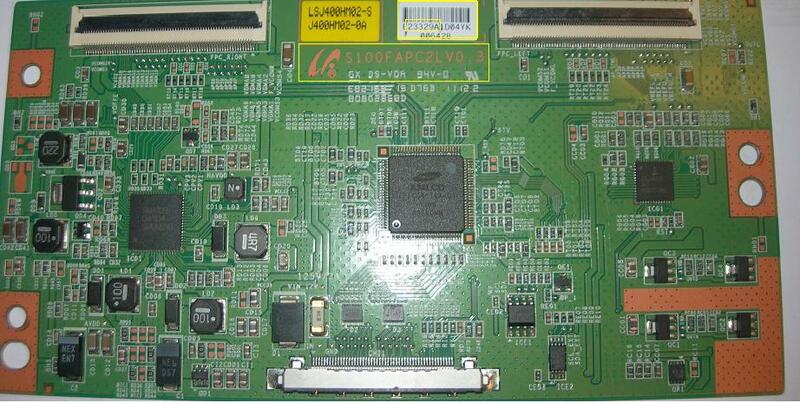 So the part number of the board below would be LJ94-23329A. Samsung L.E.D Driver; The board number upon Samsung LED Drivers will be printed on the board, usually in most cases around the edge of the PCB. 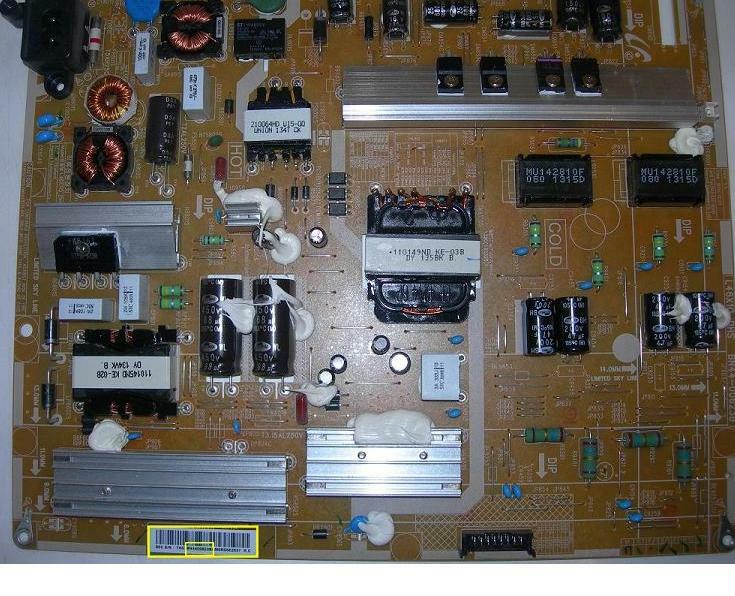 Once you've found the board number it is vitally important you manage to locate the actual significant part number for the board, this is located within the white sticker label, however is not clearly pointed out. If you look at the long line of letters and digits, you need to start from the first actual actual digit, in most cases '0' once you find this carry it on till the first letter. 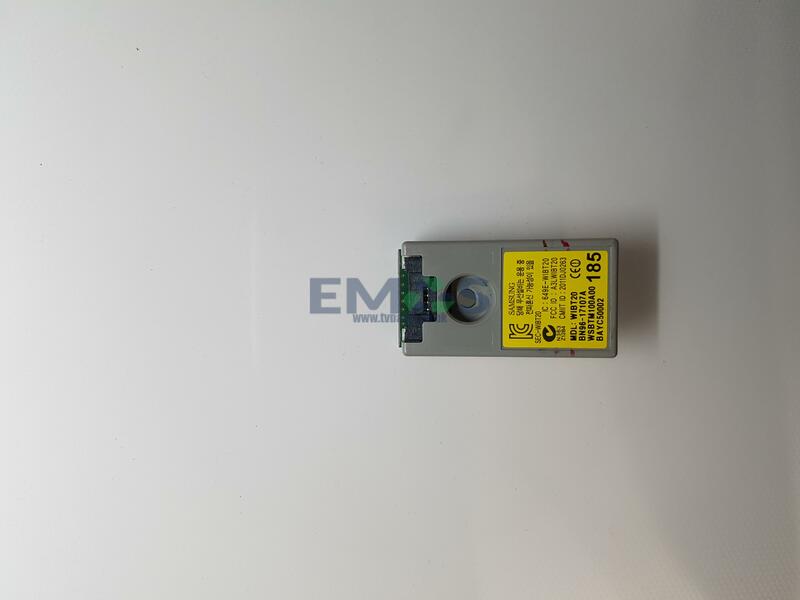 For example the one below is '-03520G', with LED drivers when searching for the board via the part number place infront 'LJ97', therefore it'll be 'LJ97-03520G'. 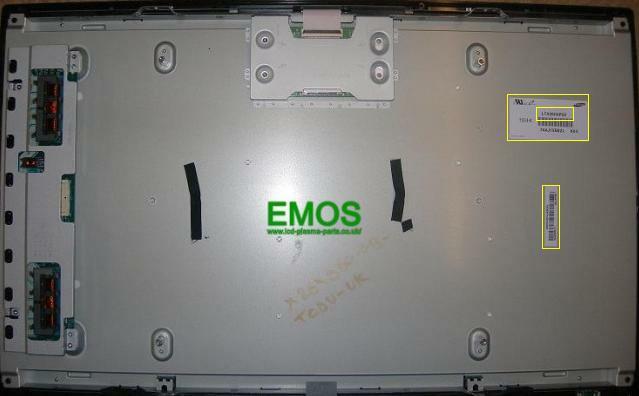 Samsung LCD Panel; To find the screen number off of your TV set you must remove the screen from the set and locate it upon the back of the panel. There will be numerous sticker labels on the back of the panel, the majority normally white. The screen number itself on Samsung panels will usually be an 'LTA', 'LTF', 'LTJ, 'LTM' or an 'LTY' number, it is important to ensure the version number matches if there is one, or any letters within brackets to the side of the number. Also upon the other sticker label which doesn't contain the actual screen number, there will in most cases be a; 'BN96-', 'LJ97-' or 'BN07-' number if this can be found it is important to match.